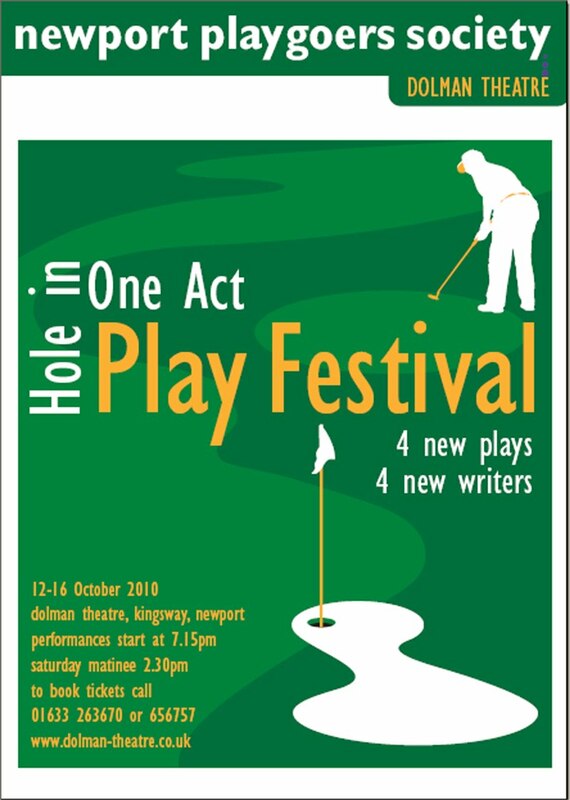 I was really pleased to hear that one of the plays I entered for Newport Playgoers’ One Act Play-Writing Competition had been selected for the forthcoming festival. The theme of the plays was ‘golf’ of which I know precious little, except for the occasional highly competitive game of crazy golf I play with my wife Caroline. So I wrote about that – a down-at-heel crazy golf course that’s on the verge of bankruptcy because it’s at the wrong end of the recently revamped seafront. The plays were judged by Frank Vickery, regarded by many to be Wales’s top playwright, and out of the 40+ plays entered, he chose three from a shortlist of 11. My play ‘Bunkered’ will now be part of the Hole in One Act Play Festival at the Dolman Theatre in Newport from 12 – 16 October 2010.